Region 8 Education Service Center connects educational resources to school districts across Northeast Indiana. 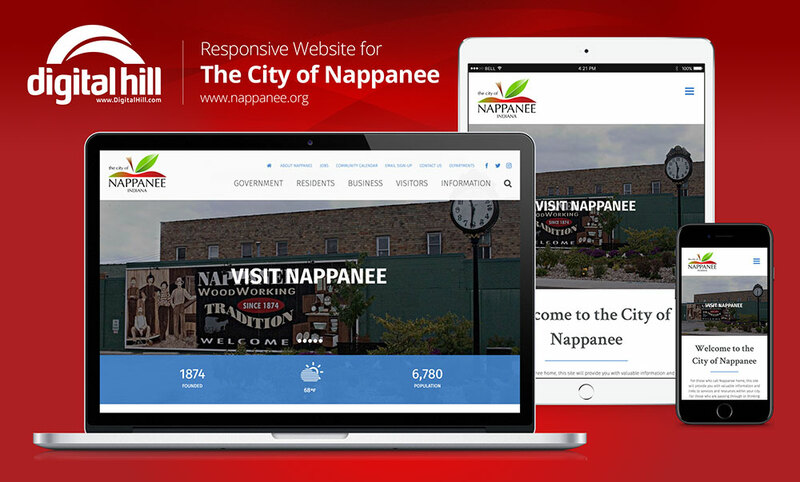 With a newly designed website, Region 8 has expanded its ability to provide access to professional development, cooperative purchasing, and employee services. The new website has been designed so resources are easy to find and the overall look is attractive and cohesive. The drop-down menus on the navigation bar allow site visitors to find content easily. When images in the sliding gallery are hovered over with the cursor, the pictures and links are animated and highlighted. Each link in the gallery is accompanied by a relevant image. Educators looking to improve or build on skills can access the Professional Development section for a wide selection of courses and workshops as well as a personalized development plan. School districts seeking to expand the learning opportunities in their classrooms can get lesson plans and training kits. Scheduling absences or picking up substitute work is easy with specialized phone and website support. Prospects looking for work at Region 8’s schools and districts can search job openings and apply. For schools looking to get resources and supplies into the classroom at lower costs, Region 8 helps them take advantage of district-wide negotiations and savings. These have been sorted into an accessible catalog. News – With the Upcoming Events widget, visitors can glimpse the events (workshops, updates, and cancellations) coming for Region 8. Calendar – A calendar has been integrated into the site. Visitors can get a monthly, weekly, or daily view of past, current, or future events. The calendar’s events are also color coded with a legend for easy identification. Responsive Gallery – The galleries on the homepage are user-friendly and draw attention to important links of the website. They are also an excellent representation of the site’s responsive capability. The swipe-able galleries are accessible with the click of a mouse or the swipe of a finger across a mobile screen. Newsletter – Those wanting to stay updated on Region 8 news and events are invited to subscribe to a newsletter located at the bottom of the homepage. Social Media Integration – Region 8’s Facebook profile is linked to so that site visitors can jump from the site directly to their Facebook and follow them. Designed by Digital Hill, Region 8’s new website has been designed to provide ease of use for teachers, admins, substitutes, and anyone else looking for information on Region 8 school resources. 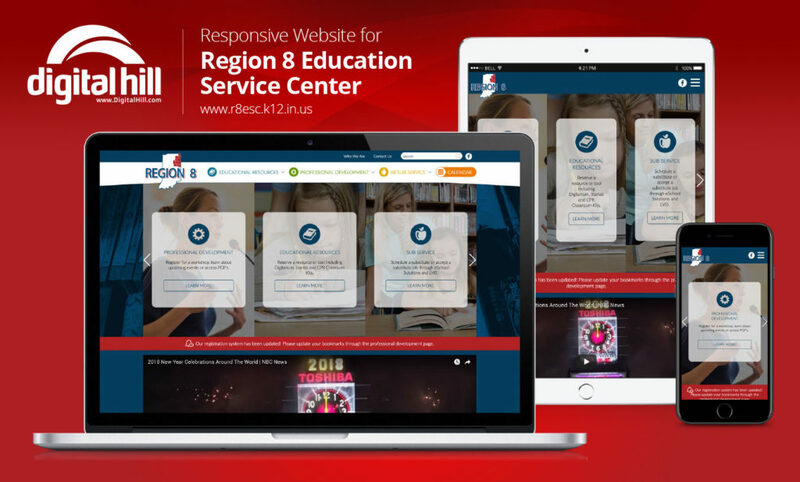 Efficient and organized, the website helps Region 8 fulfill their mission of connecting resources with the schools that need them.